SouthStar Communities is a fully integrated real estate investment, development and management firm focused on the residential marketplace. Based in Austin Texas, SouthStar has been creating healthy communities and a legacy of success throughout the Southern United States for a generation. Since its inception in 1999, SouthStar has acquired and developed residential assets valued in excess of $ 2.5 billion in Texas, North Carolina, Georgia and Florida. The company specializes in every stage of real estate; from acquisition, permitting and development, sales, marketing and project management. SouthStar continues to seek opportunities to leverage its experienced team and processes to deliver great experiences for owners and strong financial results for its portfolio partners. Vintage Oaks features 1- to 10-acre home sites, lot and home packages and custom and semi-custom single family homes. Featuring both gated and non-gated neighborhoods, Vintage Oaks features resort-style amenities including an expansive clubhouse, two swimming pools including a tots pool, a lazy river and playground. Community gathering amenities also include neighborhood parks, athletic fields, tennis courts and miles of nature trails. Vintage Oaks is home to primary and secondary home owners; from young families, to pre-retirement couples commuting to Austin and San Antonio, and retired couples from Houston, Dallas and across the country. Many military families live to Vintage Oaks due to its proximity to Randolph Air Force Base. Vintage Oaks has had the highest number of new home starts in the San Antonio MSA for the last 12 months and is the Texas Hill Country’s number one residential community.  Vintage Oaks is the fastest growing community in New Braunfels and in the San Antonio MSA. Vintage Oaks has a parcel designated for a school in the highly-rated Comal County ISD, further supporting the community’s family-friendly atmosphere. Vintage Oaks’ appeal is Hill Country living in a warm and friendly community, spectacular scenery and surrounded by breathtaking vistas and natural beauty, while accessing world-class amenities and a short drive to shops, events and dining New Braunfels, Gruene, Austin and San Antonio.